Anti-lock brakes were designed to help you control your car during adverse driving conditions. The ABS system keeps the wheels of your vehicle from locking up, preventing skids when the road is wet or icy. Prior to anti-lock brakes, a driver would have to pump the brakes manually to prevent this phenomenon. Anti-lock brakes sense when your vehicle is in a skid condition and pulse the brakes hundreds of times per minute, which is much quicker than any driver could react. Although ABS brakes also reduce the stopping distance of your vehicle, this is not the main purpose of having ABS brakes. 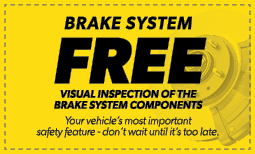 Get more information about anti-lock brakes at Meineke #2401 in Modesto, CA. ABS brakes were designed to prevent lock-ups and skids but also offer a few other benefits. Some insurance companies offer discounts for having this safety device because it has a track record of effectively preventing accidents. ABS is standard on today’s vehicles. Without this system on your vehicle, you may not get the premium resale value. Although the ABS system cost does add to the overall cost of your car, it’s worth the added safety and value. 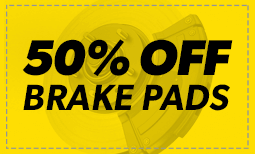 Talk to the technicians at Meineke #2401 in Modesto, CA for more information about ABS brakes. Your ABS is a crucial safety feature. Fortunately, there are several warning signs that will allow you to get it repaired before it fails. Many cars today have an ABS warning light. If yours comes on, take your car to a mechanic and have it checked right away. Other red flags for impaired anti lock function include brakes locking up at odd times, brake pedals that do not respond to pressure and a greater amount of pressure being needed to brake. If you notice any of these, it is time for an immediate check-up. Stop at Meineke #2401 in Modesto, CA to learn about ABS system cost for repair or replacement. Signs of potential brake failure can appear suddenly or gradually. In some cases, the brake pedal may go out, while in others you may notice a creeping increase in the time it takes to stop your car. Strange noises while braking can also indicate a problem. Faulty brakes decrease the control you have over your car and can lead to a serious accident. If you notice a problem with your brakes, have your car checked immediately. Contact the car repair professionals at Meineke #2401 in , CA for repairs and maintenance to your brake system. 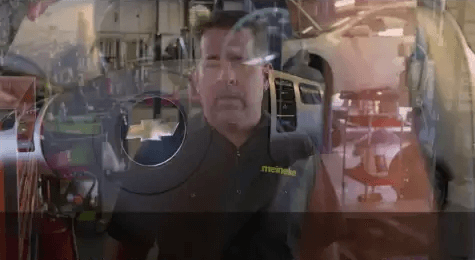 If you are accustomed to bringing your vehicle in to Meineke #2401 in Modesto, CA, for routine inspection of your anti-lock brakes, you already know that this represents big cost savings. You might need a minor part or some brake fluid added to the system, and this kind of service can be done quickly and inexpensively. If, however, you have worn brake pads, replacement will be required and you should have that done as soon as possible. Brakes of any kind are designed to wear out, and brake pads are only one component that might need replacing. We will assess any brake problems you’re having and recommend the most appropriate solution. Keeping your brake system in good order and replacing it as necessary is one of the most important car safety precautions you can take. For this reason, it is essential to have an experienced car professional to rely on. From knowing where to buy brake fluid that is right for your system to resources for ABS brake service, your service center helps you to keep your brakes in top condition. Visit in Modesto, to learn more about brake replacement and maintenance.